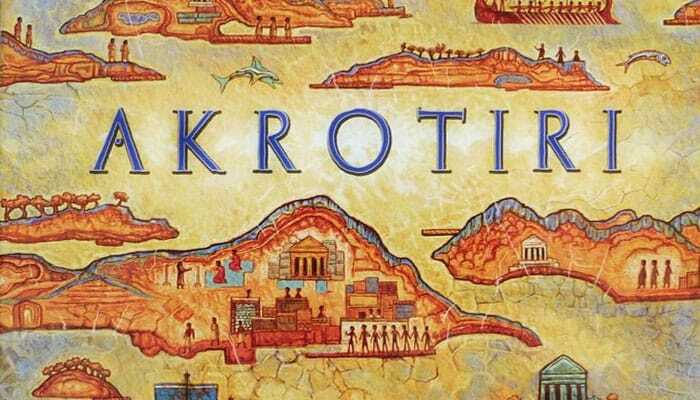 Akrotiri places you in the role of an explorer in Classical Greek times, combing the then-uncharted Aegean sea for lost Minoan temples that have long ago fallen into ruin. 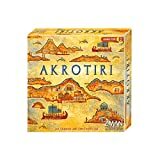 In Akrotiri - which combines tile placement, hand management, and pick-up and delivery - players place land tiles in order to make the board match the maps that they have in hand. Players excavate temples; the ones that are harder to find and the ones further away from Thera are worth more towards victory, but the secret goal cards keep everyone guessing who the victor is until the end! May the gods forever bless you with favorable winds! Score 3 points for each of your temples that are exactly 1 portage away from Thera. If the temple can be connected using Shipping Routes (the portage is not required), then that temple does not score any points. 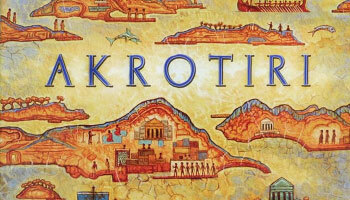 Score 6 points for each of your temples that are exactly 2 or more portages away from Thera. Il the temple can be connected using Shipping Routes or fewer than 2 portages, then that temple does not score any points.